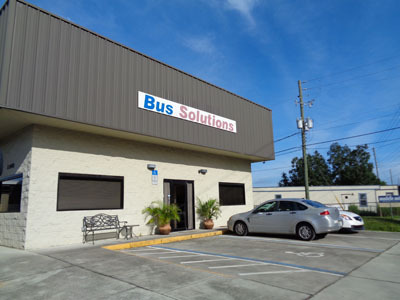 Bus Solutions started in April 2007 due to the customer demands received after creators of Bus Solutions (Rick and Calla) were laid off from another bus company in Orlando who has since gone out of business. When the number of repeated requests were being received, Rick and Calla decided to partner up and create a company that could take care of these fleet customers. The relationships with several customers and management companies had been in existence for several years. Some relationships were back into the 80’s when Rick and Calla worked for Ford Motor Company. Thanks to our loyal customer base, in April 2016, Bus Solutions will celebrate their eighth year in business. We are proud that we have not only maintained the original customer base but have more than doubled our clientele. Rick started in the automotive repair business in 1970 while in the Navy. Rick’s assignment also involved repairing construction equipment. In 1974, Rick went to work for a local Ford Dealership as a Technician specializing in air conditioning and electrical. After a short period of time, Rick became Shop Foreman. As a result of Rick’s technical abilities, Ford Motor Companies Climate Control Division requested his participation with designing and developing air conditioning systems and was the principal installer and monitor of the test components used on fleets such as Orange County Sheriff’s Department and the Florida Highway Patrol. In 1990, Rick went on to the transportation industry managing a fleet of buses, taxi’s, vans and limousines for a local private owned company. While in this position, Rick dealt with the, soon to be co-owner, Calla for warranty repair work on his fleet vehicles while she was employed with the local Ford Dealership. In 2001, Rick became employed with a local Bus Dealership as Vice President in charge of Service and Parts. In conjunction with building the Service Department, Rick asked Calla to come on board to assist with that mission as Service Coordinator. While managing Americas Bus Superstore’s service department; Rick and Calla worked hard to build a loyal customer base. Calla started in the automotive repair business in 1976. After being married into the business, Calla realized she enjoyed working with the customers and the professionals in the shop. In 1981, Calla left her career in Credit Management and became an active, full time participant in the transmission repair shop her and her husband owned. In 1986, Calla went to work as service advisor with a local Ford Dealership. Through years of extensive training with Ford Motor, Calla became specialized in fleet vehicle care along with warranty repairs and claims processing. During these years of commitment, Calla accompanied Rick with the special development projects with Ford Motor Company. During Calla’s career with Ford she also took on the management of Ford Motor Company’s Burbank Studio fleet. This position involved service management along with the assignment of 80 plus vehicles to the various production companies. Along with Ford fleet, Calla was exclusively involved with the warranty repair management for the Orange County Sheriff’s Department and the Florida Highway Patrol fleets. 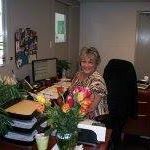 In 2002, Calla joined Rick to assist with managing the Service Department of Americas Bus Superstore. In early 2007, due to the breakdown of Americas Bus Superstore’s ownership, Rick and Calla decided to branch off on their own and formed a corporation to handle the repair and maintenance for buses of all makes and models specializing in fleets, which has now expanded to all automotive fleet vehicles.